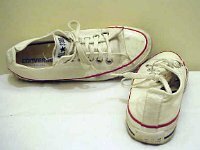 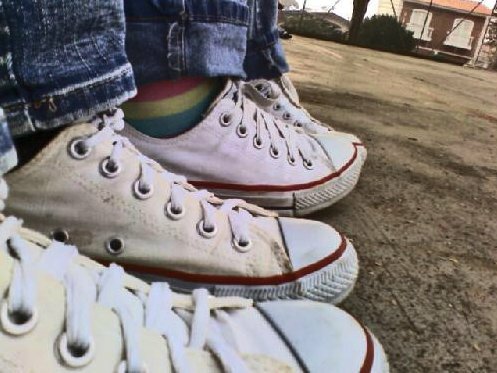 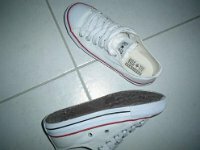 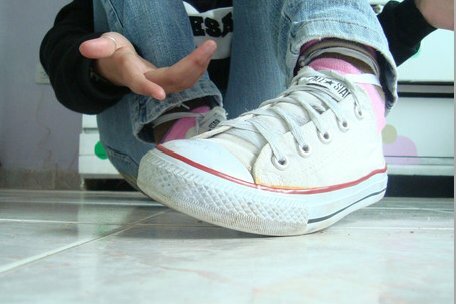 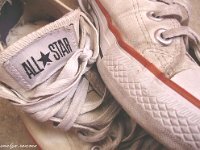 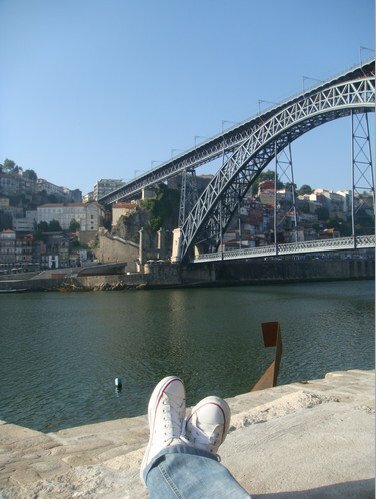 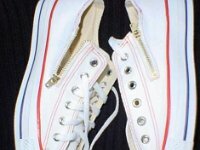 Photo gallery of optical white and natural (unbleached) white low cut chucks. 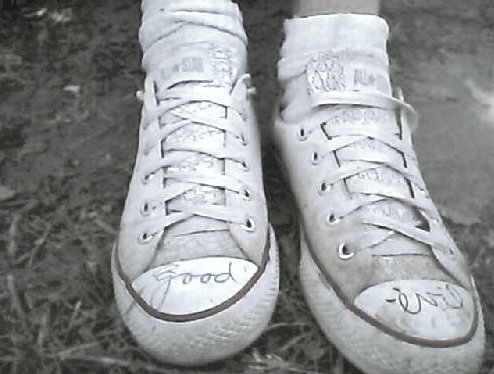 1 White Low Cut Chucks Wearing worn natural low cut chucks, front view. 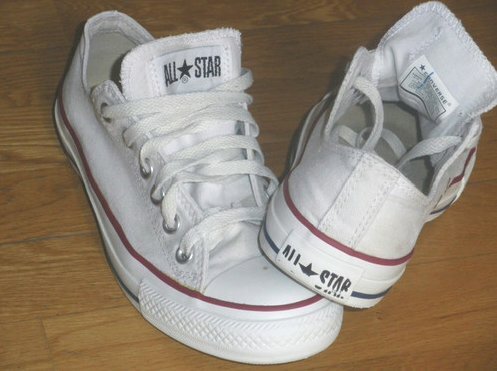 2 White Low Cut Chucks Natural white low cut, right outside view. 3 White Low Cut Chucks Natural white right low cut, outside view. 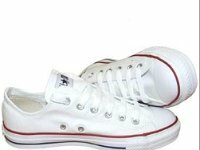 4 White Low Cut Chucks Natural white low cut chucks, angled side to top view. 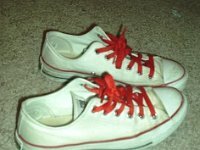 5 White Low Cut Chucks Side view of worn optical white low cut chucks with red shoelaces. 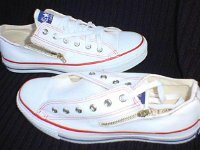 6 White Low Cut Chucks Side and top views of new optical white low cut chucks. 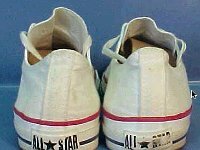 7 White Low Cut Chucks Top and side view of optical white low cut chucks. 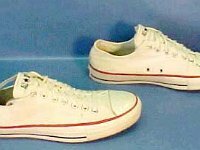 8 White Low Cut Chucks Front and rear views of optical white low cut chucks. 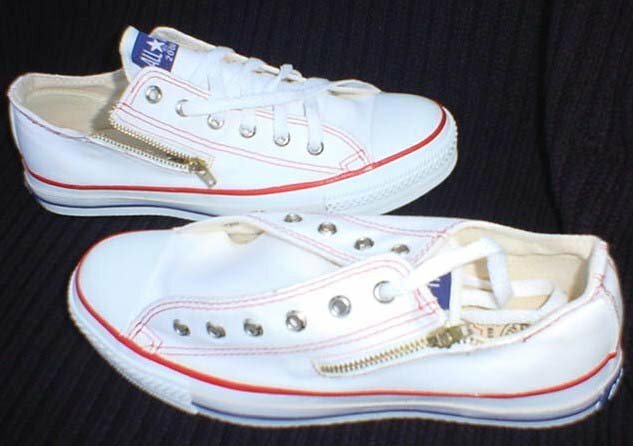 9 White Low Cut Chucks Closeup of the tongue patch and front side of white low cut chucks. 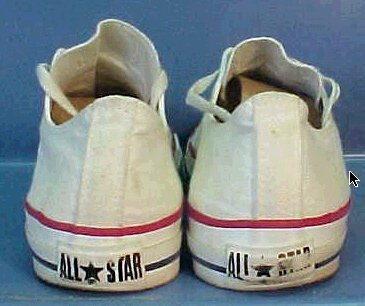 10 White Low Cut Chucks Side and sole view of optical white low cut chucks. 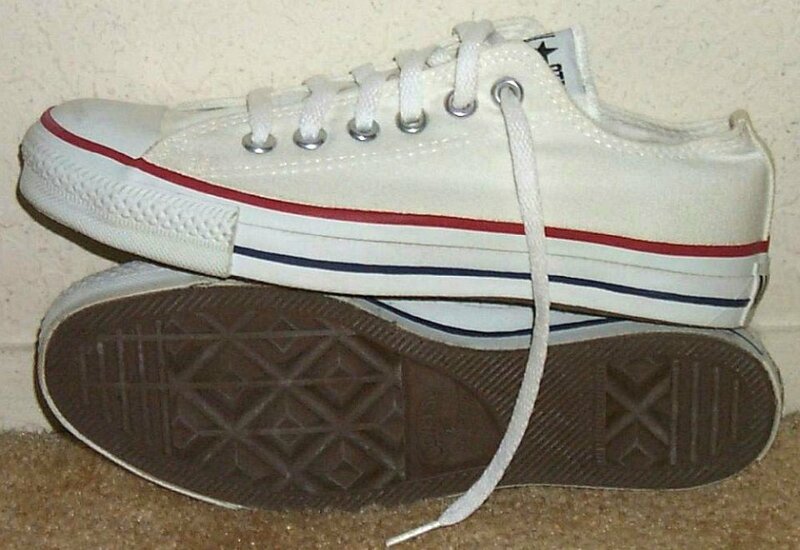 11 White Low Cut Chucks Right optical white low cut, angled side view. 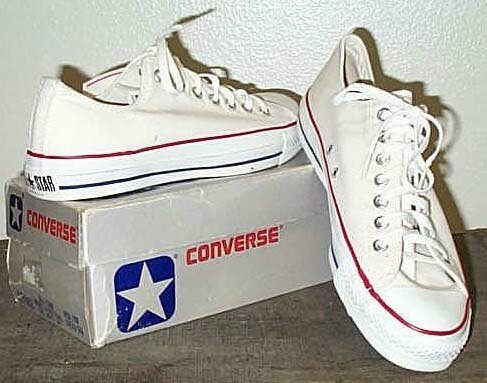 12 White Low Cut Chucks Vintage optical white low cuts with box, side and top views. 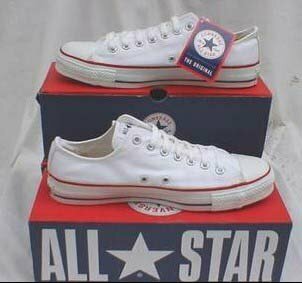 13 White Low Cut Chucks Right optical white low cut, outside view. 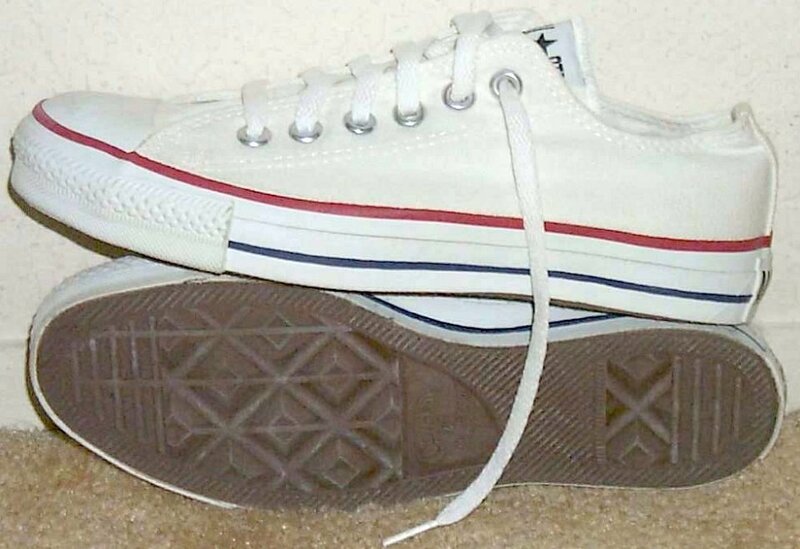 14 White Low Cut Chucks Top view of worn optical white low cuts. 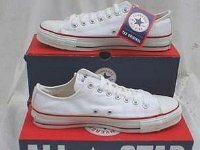 15 White Low Cut Chucks New optical white low cuts with box, top view. 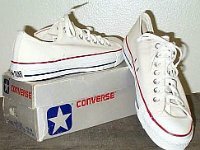 16 White Low Cut Chucks New optical white low cut chucks with box, side view. 17 White Low Cut Chucks Rear view of worn optical white low cuts. 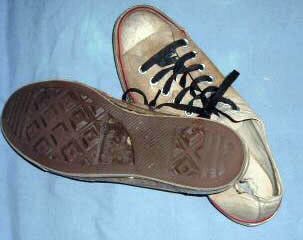 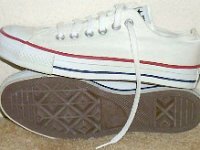 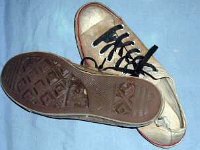 18 White Low Cut Chucks Angled rear and top views of worn optical white low cuts. 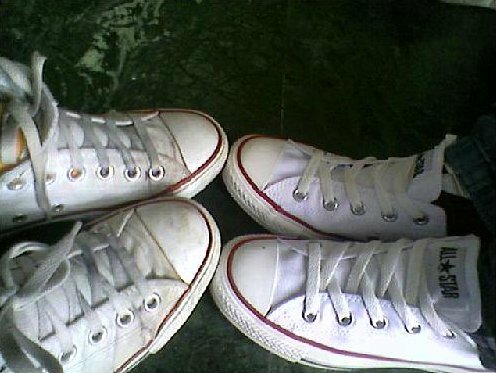 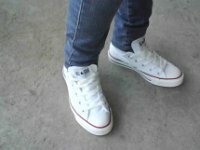 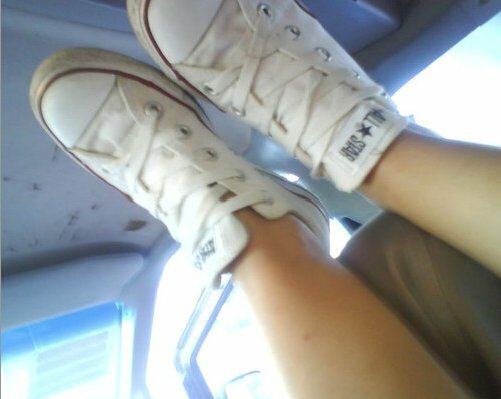 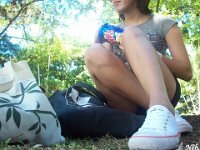 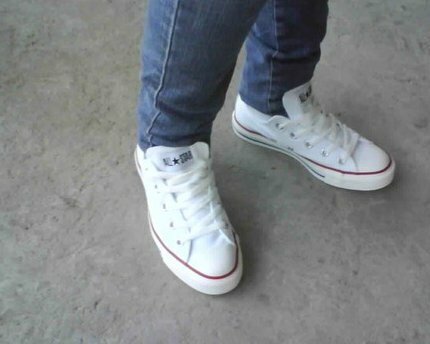 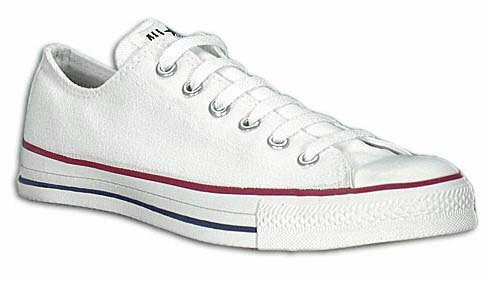 22 White Low Cut Chucks Wearing optical white low cut chucks. 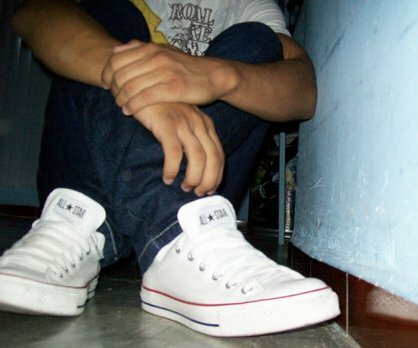 23 White Low Cut Chucks Wearing optical white low cut chucks. 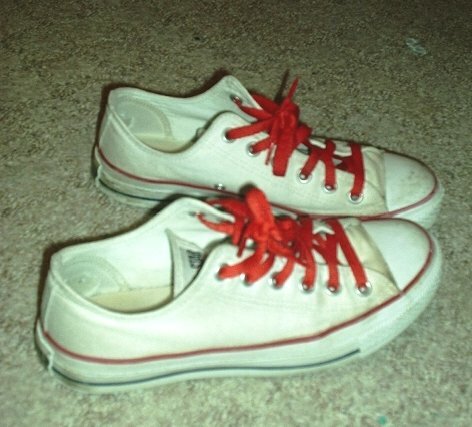 24 White Low Cut Chucks Wearing optical white low cut chucks. 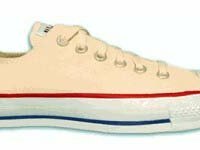 25 White Low Cut Chucks Wearing optical white low cut chucks. 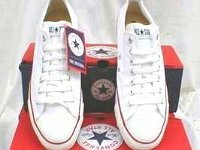 26 White Low Cut Chucks Wearing optical white low cut chucks. 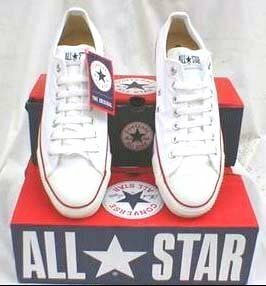 27 White Low Cut Chucks Wearing optical white low cut chucks. 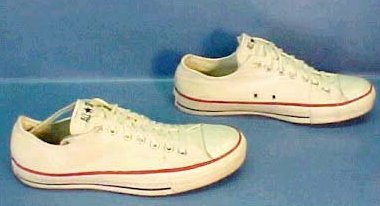 28 White Low Cut Chucks Wearing optical white low cut chucks. 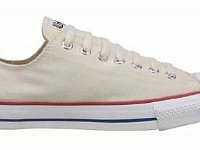 29 White Low Cut Chucks Wearing optical white low cut chucks. 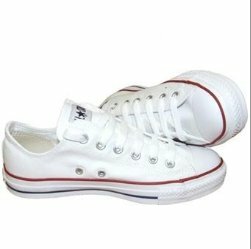 30 White Low Cut Chucks Wearing optical white low cut chucks. 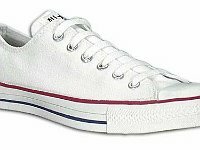 31 White Low Cut Chucks Wearing optical white low cut chucks. 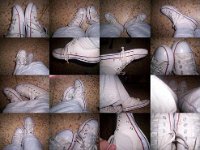 32 White Low Cut Chucks Digital grid of optical white low cut chucks. 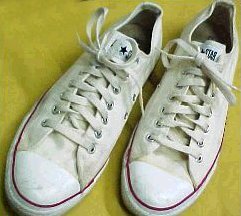 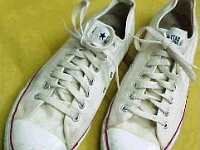 33 White Low Cut Chucks Well worn optical white low cuts, top and sole views. 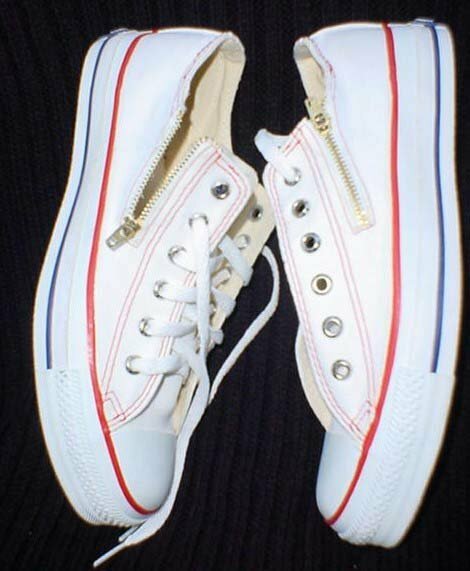 35 White Low Cut Chucks Optical white zipper low cuts, side views. 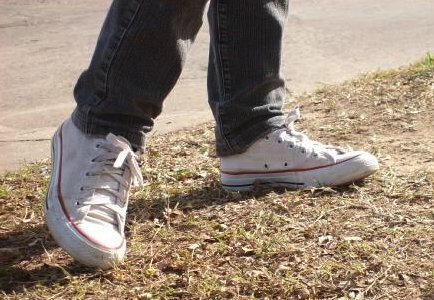 Optical white and natural (unbleached) white low cuts.